Crookshanks, Hermiones cat, is an extremely smart animal. 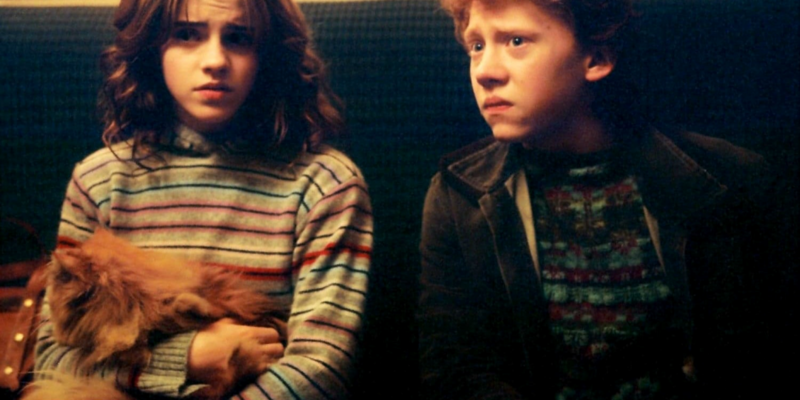 She got him from the Magical Menagerie at the start of her third year, where he immediately saw ‘Scabbers’ for what he was: an Animagus called Peter Pettigrew. While cats are known to be pretty smart in general, this is an extraordinary feat for a regular cat. The fact is that he ISN’T just an ordinary bowlegged ginger cat; he is half-Kneazle. But there might be even more to him than meets the eye.